Very interest shot & information! 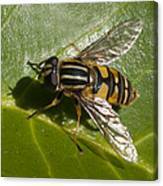 Life imitates art, hover flies imitate wasps, hornets, and bees - in both cases, for the sting in it... 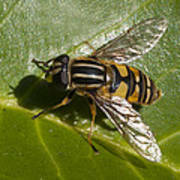 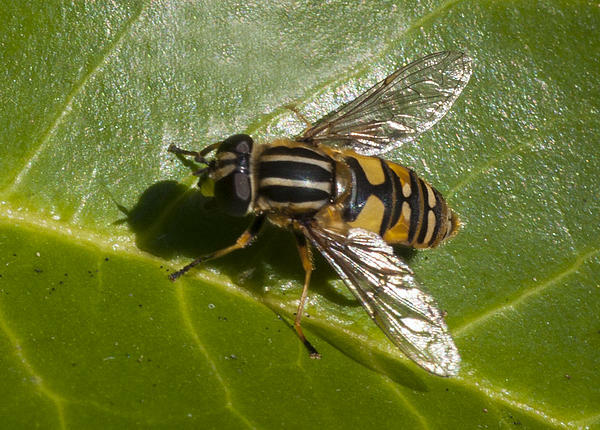 Unusually this hoverfly has stripes on the thorax as well as the abdomen, and they run front to back rather than across.